We were thrilled to come into work on the 15th of January and find we'd been mentioned in two articles by Martin Lewis' MoneySavingExpert for our easy payments! 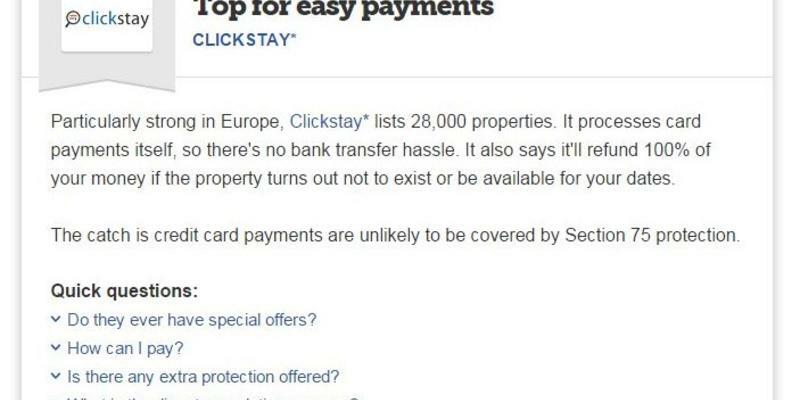 "Particularly strong in Europe, Clickstay lists 28,000 properties. It processes card payments itself, so there's no bank transfer hassle. It also says it'll refund 100% of your money if the property turns out not to exist or be available for your dates." We love villa holidays. But we understand that trust is an important issue when it comes to renting someone else’s home. How do you know that you’re getting what it says on the tin? How is my money protected if I arrive at the property and it’s not in the condition I was promised? When you book with Clickstay, you can put those questions to rest because our Renter Protection Policy means that your balance payment is withheld from the owner of the property until 3 days into the booking. This system gives you time to report an issue with the property so, if you ought to get a refund, you will. We were also recommended by BBC’s Watchdog for our protected payment system. We may have been Villarenters back then, but we have all the same ideals today. 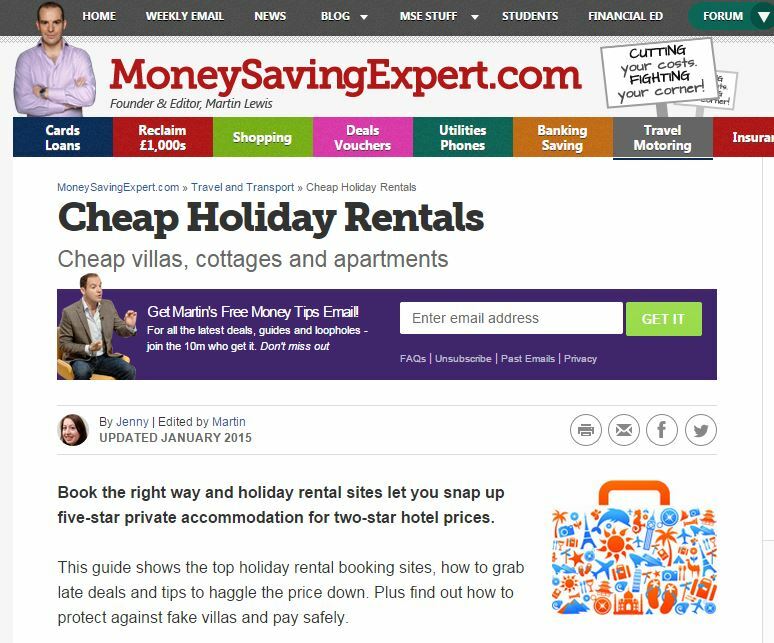 See Travel Tips 50+ and Cheap Holiday Rentals for the full articles.